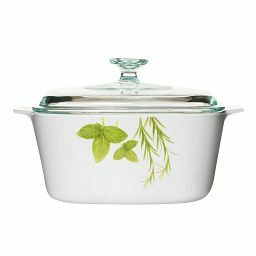 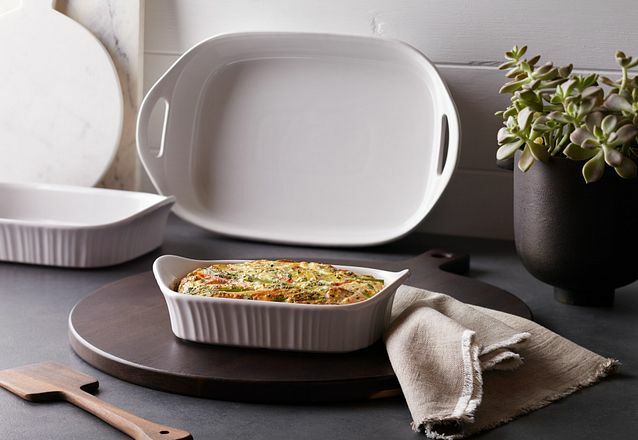 From stovetop to oven to serving, this extra-large casserole dish does it all. 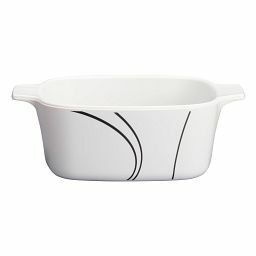 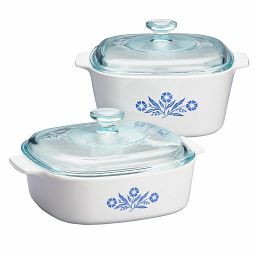 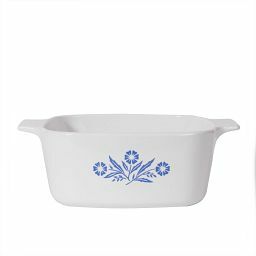 Cooks have relied on high-performance CorningWare® for over 50 years—with good reason. 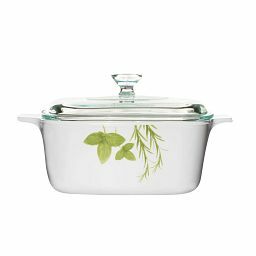 Not only is the glass-ceramic fusion safe for gas or electric stovetops, it goes into the oven, broiler or microwave. 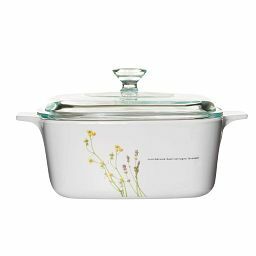 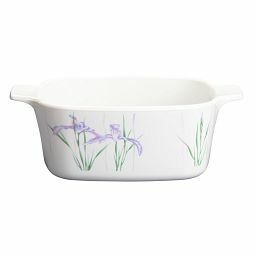 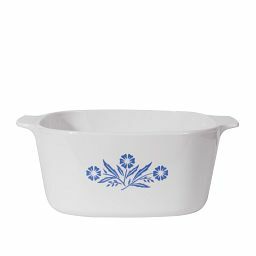 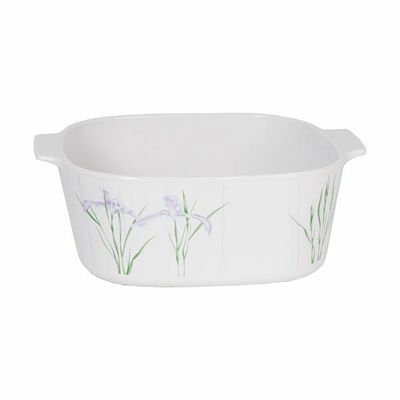 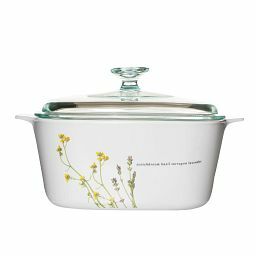 Decorated with watercolor irises, this extra-large casserole is also a gracious serving piece.